Olive oil is universally considered a much healthier alternative to meat fat. 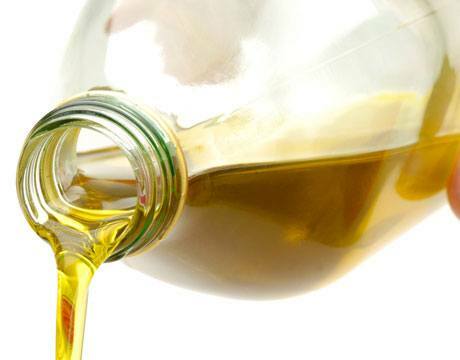 Plant-derived oils (such as olive oil, canola oil, and vegetable oil) largely consist of unsaturated fatty acids, whereas animal fat is richer in the saturated ones. After a typical meal, carbohydrates are the primary source of energy production by the heart. Under fasting conditions, however, free fatty acids become the major energy producer. Saturated fat in a diet is known to be detrimental to heart health, but its impact on the cardiac muscle has been studied only recently. Interestingly, while saturated fatty acids are toxic to cells, unsaturated fatty acids are not only harmless but also provide protection against the damage done by saturated fatty acids. Studies conducted on many cell lines have indicated that saturated fatty acids can cause cell death involving the “endoplasmic reticulum stress (ER stress)”, a cellular process known to be involved in the development of many diseases. A new paper, “Saturated fatty acids induce endoplasmic reticulum stress in primary cardiomyocytes”, just published in open access in “Endoplasmic Reticulum Stress in Diseases” by De Gruyter Open shows that there are striking differences in the accumulation of saturated and unsaturated fatty acids in cardiac muscle cells, and that saturated fatty acids induce the death of these cells through the ER stress. In stalking contrast, unsaturated fatty acids protect the same cells from such damage. A research group from the Montreal Heart Institute in Canada, led by Dr. Nicolas Bousette, evaluated the impact of palmitate and oleate on cellular fatty acid absorption, triglyceride synthesis, intracellular lipid distribution, ER stress, and cell death in primary cardiomyocytes. This is the first time that such phenomena were observed in cells directly derived from the heart, validating a critical role for saturated fatty acids in the development of heart diseases. Given a primary role for lipid metabolism in the development of type II diabetes, the current finding might suggest a probable role for saturated fatty acids in the development of heart conditions among diabetic patients. The current results and future research in this direction might improve our understanding on the possible connection between intracardiomyocyte lipid accumulation and the development of diabetic cardiomyopathy.